You haven't yet seen unique iPhone cases until you've seen what Musubo, a case company who's cases are inspired by Tokyo street fashion, has to offer. 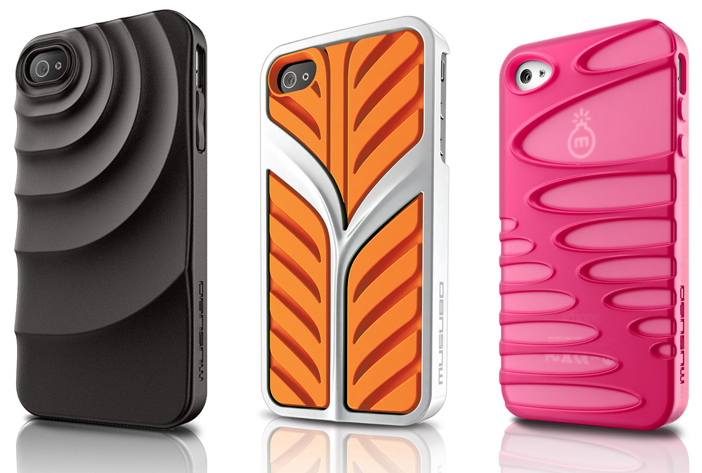 Musubo's unique line of visually stunning cases are now available in the US thru Amazon. From left to right, the retro microphone-inspired Retro case for the iPhone 4/S comes in four colors for $34.99, and offers dual-layer protection featuring a hard polycarbonate exterior with a soft silicone interior for shock absorption and includes a foldable stand. The Double X case can be found in six colors for $29.99, and is designed with ribbed opening that let the iPhone show thru and is made out of durable TPU with a soft-touch finish. Musubo's rubber band-inspired RubberBand case comes in a slew of vibrant colors at $29.99, and features a built-in loop for attachment and is made out of a rubbery TPU material that's soft to the touch. Typically we expect this sort of over the top style cases out of SwitchEasy, but now it seems they've got some tough competition. 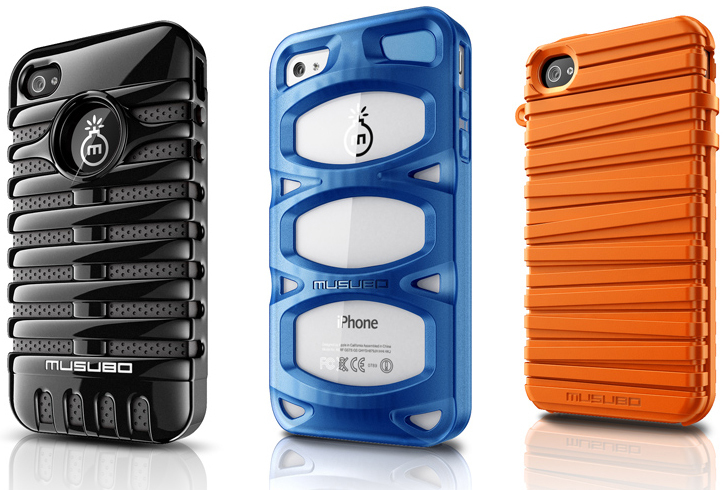 Musubo's wide variety of unique and clever cases is simply overwhelming. Head over to the Musubo site to check out the entire line.